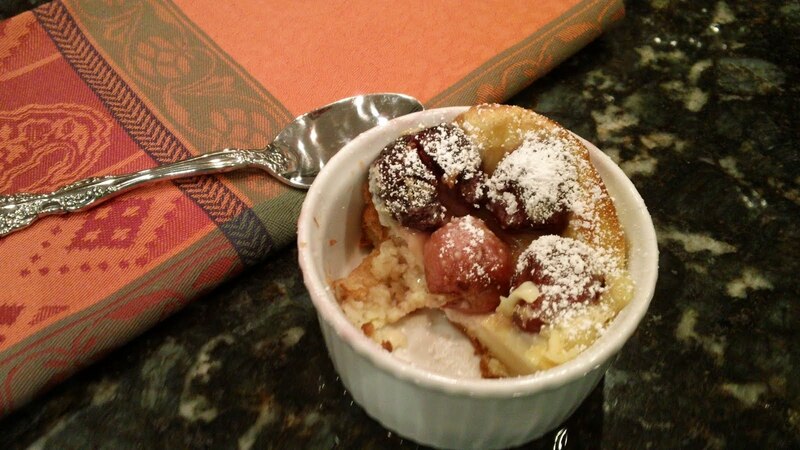 My mom and sister made this Cherry Clafouti a few weeks ago from Bon Appetit Magazine. Unfortunately, I was either out of town or extremely busy, and never got to taste their wonderful creation. 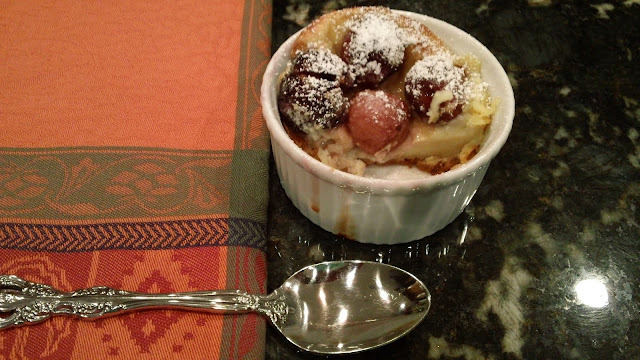 Inspired by the simple cherry desserts from the Limousin region of France, this baked custard can be served warm or at room temperature. Feel free to use pitted or unpitted cherries. A scoop of ice cream would be perfect atop this dessert right after it comes out of the oven. Clafouti, for those of you who have never had tried it, is a cross between a custard and bread pudding. Elegant, sweet, and delicious. Enjoy! 1. 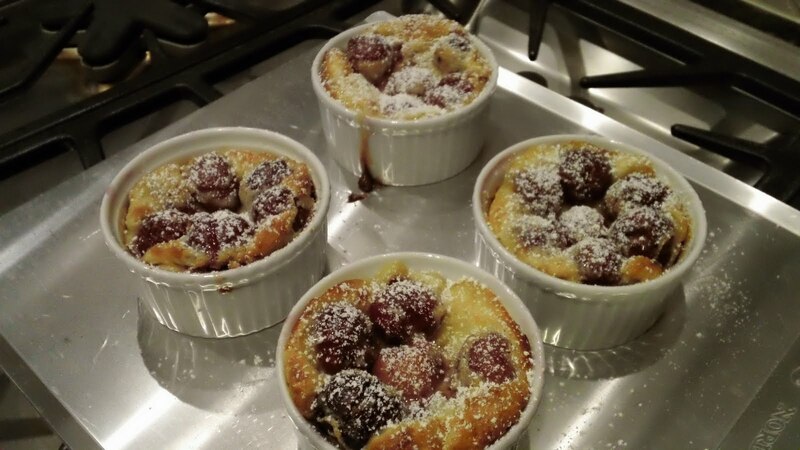 Preheat oven to 375 degrees F. Butter cake pan or ramekins. Arrange cherries in a single layer in pan. 2. Combine milk and cream in a small saucepan; bring just to a simmer over medium heat. Set aside. Combine eggs, flour, sugar, lemon zest, vanilla, and salt in a medium bowl; whisk to blend. Gradually whisk in hot milk mixture; whisk until custard in smooth. Pour custard over cherries in pan. If necessary, gently shake pan to allow custard to settle. 3. Bake clafouti until custard is set and top is golden brown, about 30 minutes for ramekins and 45-55 minutes for cake pan. Let cool 3 minutes, then run a knife around pan sides to loosen clafouti (if using cake pan.) Dust top with powdered sugar; cut into wedges and serve.